I found this awesome cotton at Spotlight and had to get it! After spending hours and hours on Pintrest I came back to my new favourite pineapple pattern. It’s super easy to follow and not at all boring. I used a 3.5mm hook and this took just under 2 balls of cotton. This took me about 10 hours to make, while watching Orange is the New Black, so there was times a lot of non-crochet time. This is more a centre piece size and would look amazing in a tropical themed house. 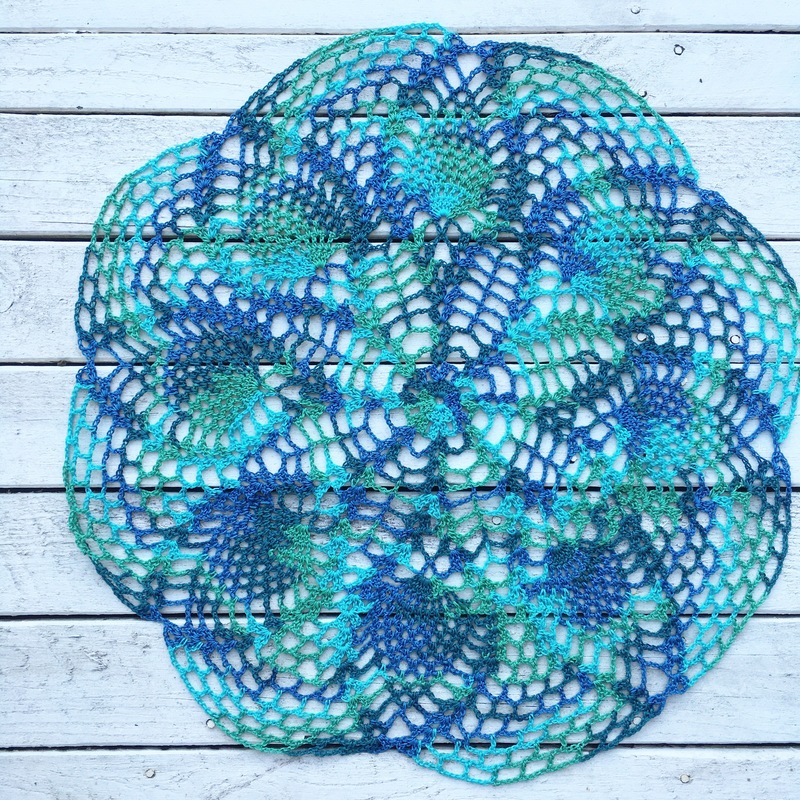 I’m now searching for a pattern to make smaller coasters to match.